If you have ever considered a career as a healthcare professional, the dental hygiene career might be right for you. Dental hygienists are important members of the dental health care team who work with dentists in the delivery of dental care to patients. Hygienists use knowledge and clinical skills to counsel patients on dental hygiene care. These dental professionals must like helping people, enjoy working with their hands, and are interested in helping to prevent disease. A dental hygiene career offers women and men of all ages and backgrounds excellent career opportunities. Dental hygienists are an integral part of a dental practice. They perform technical duties in addition to teaching patients appropriate oral hygiene techniques. The also counsel patients about good nutrition and its impact on their oral health. Employment of dental hygienists is expected to grow faster than average for all occupations through 2014. They also rank among the fastest growing occupations in response to increasing demand for dental care and an increased use of hygienists to perform services formerly done only by dentists. 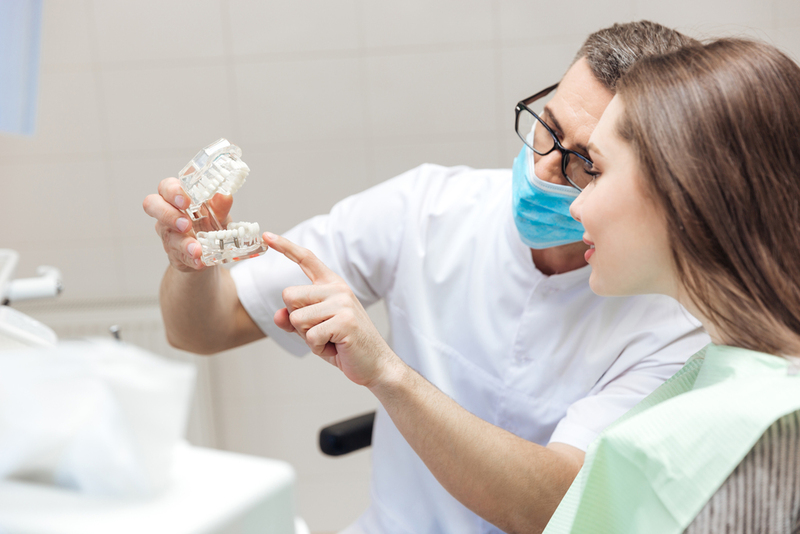 Population growth and greater retention of natural teeth will keep jobs prospects on the rise for dental hygienists. Also, as dentists’ become increasingly busy, they are predicted to hire more hygienists to perform preventive dental care, such as cleaning. In 2004, the Commission on Dental Accreditation (http://www.ada.org/) accredited 266 programs in dental hygiene. A high school diploma and college entrance test scores are typically requisite for admission to a dental hygiene program. A minimum of two years of college education that combines classroom and clinical coursework is necessary to become a dental hygienist. Most dental hygiene programs grant an associate degree, while others offer a certificate, a bachelor’s degree, or a master’s degree. An associate degree or certificate in dental hygiene is normally required to work in a private dental office. A bachelor’s degree or master’s degree is required for research, teaching, or clinical practice in public or school health programs. While enrolled in a dental hygiene program, students will study histology (the study of tissue structure), periodontology (the study of gum diseases), pathology, dental materials, and clinical dental hygiene to prepare them for work in the field. 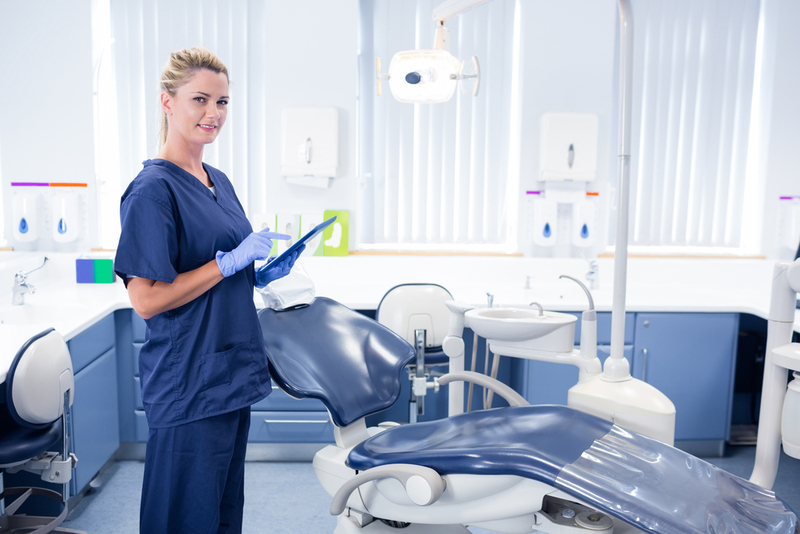 Dental hygienists held approximately 158,000 jobs last year. Even with this high number of employed hygienists, the number of jobs available exceeds the qualified candidates available to fill them. More than half of all dental hygienists work what is considered to be part time or less than 35 hours a week. Nearly all dental hygienists work in dentists’ offices, with very few employed in other areas. The median hourly earnings of dental hygienists were $28.05. These earnings will vary slightly by geographic location, and experience. Melissa Steele is a featured writer for EducationGuys.com. She has been writing about college degrees & trade schools since 2004.